In Gimme Some Sugar (Southern Eclectic #3) by Molly Harper, Lucy left her hometown of Lake Sackett, Georgia, in the dust when she went to college and married her high school sweetheart Wayne. 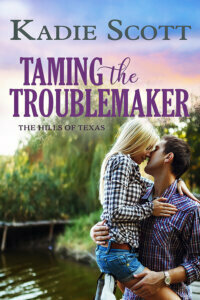 Texas was an adjustment, as was being without her family and her childhood best friend, Duffy McCready. But Lucy was busy with her society husband, his important career and their young son Sam. When a freak accident takes Wayne’s life, she makes her way back to Lake Sackett several months later to start over. Lucy is surprised to see the changes in town, as well as to realize she can resume her friendship with Duffy. But the sparks she felt between them as teenagers are still zinging her today. And she’s not sure if it’s the right time to give in to temptation considering her new business venture as a bakery owner, being a single mom, and avoiding the evil eye from her deceased husband’s family. You know, normal everyday small town stuff. “Please don’t give up on us before we even get started,” he whispered against her lips. “Did you just shut me up with a kiss?” she asked him. Duffy has made his fair share of mistakes. Something his family lovingly reminds him of every chance they get. But there’s nothing he regrets more than not letting his former best friend Lucy know how much he loved her back when he had the chance. Okay, so marrying his now ex-wife Lana was a *huge* mistake. But that’s a whole other story. When Duffy sets eyes on Lucy for the first time in about a decade after she moves back to Lake Sackett, he wants to ask her out right away. But since she just lost her husband a little less than a year ago, he knows he needs to slowly woo her, starting with rekindling their easy friendship. But Lucy knocks him out with her beauty, her backbone of steel, and her keen wit. Plus she’s a terrific mama to her awesome four-year-old son Sam. How on earth can Duffy possibly keep from falling in love and making a fool out of himself in a scramble to win her heart? Gimme Some Sugar was a sweet down home treat filled with hysterical locals, rednecky goodness, and tons of hi-jinx between our friends-to-lovers pair, Lucy and Duffy who will win your heart faster than you can say Chattahoochee. Boy was it great to be back in Molly Harper’s raucous fictional town of Lake Sackett, Georgia. I just adore the cast of characters she’s created for this series and I truly can’t get enough of them. This has become one of my literary comfort places, where I can pick up any of these books and know that I’ll laugh out loud, sigh happily a few times, and get that warm & cozy feeling. And that’s exactly what Gimme Some Sugar did for me. I sighed over how right Lucy and Duffy were together. I laughed over their comical conversations and the antics of the McCready family. And when it was all said and done, I was more than content and blissed out over where Lucy and Duffy’s journey took them. Our hero Duffy has been on my radar since the beginning. He’s funny as all get-out of course, but he was such a great guy that I’ve been not-so-patiently waiting to see who he’d find romance with. And in true Molly Harper form, Duffy and Lucy’s courtship was, well, not exactly smooth and uneventful. They had to earn that HEA. Particularly poor Lucy. She was a fantastic heroine who had that Southern sass going on but had a huge heart. Her newish role as widow/single mom was throwing her for six and as such she tried to keep her focus on her young son Sam. I have to say that he was just ridiculously adorable and added wonderful touches to the story without taking it over. And watching Duffy not only fall for his former childhood best friend Lucy but to also see him interact with young Sam? Totally sigh-worthy. Everyone deserves a love as strong and right as our lovebirds’ was in Gimme Some Sugar. I have a feeling this romance will charm readers with its small town feel and the fun plot that kept me engaged all the way through to the end. Duffy’s story was wonderful. Southern Eclectic is such a fun series. I roar even louder when I listen to the audiobooks. Southern Eclectic rules! 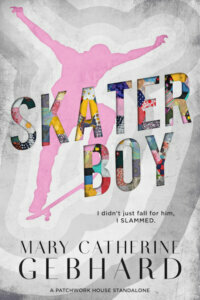 Molly Harper’s books are on my auto-buy list. 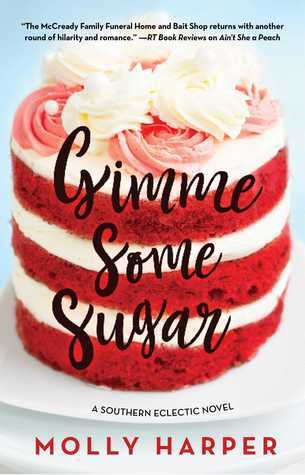 Gimme Some Sugar promises more of human nature & humor, as conceived in her mind. Can’t wait to get my hands on it.